Airline Approved. Our New “Madison” Carry Bag was made to look like a Woman’s Designer Hand Bag. Now you can take your little Angel with you wherever you go and NO ONE will ever know what’s inside your bag. The New Madison Bag is destined to become a Top Favorite Best Seller. It features High Quality Pebbled Mocha Faux Leather outer material and is lined with Satin Black Waterproof Fabric. Your little Angel will LOVE the super soft plush pillow with removable and washable cover. 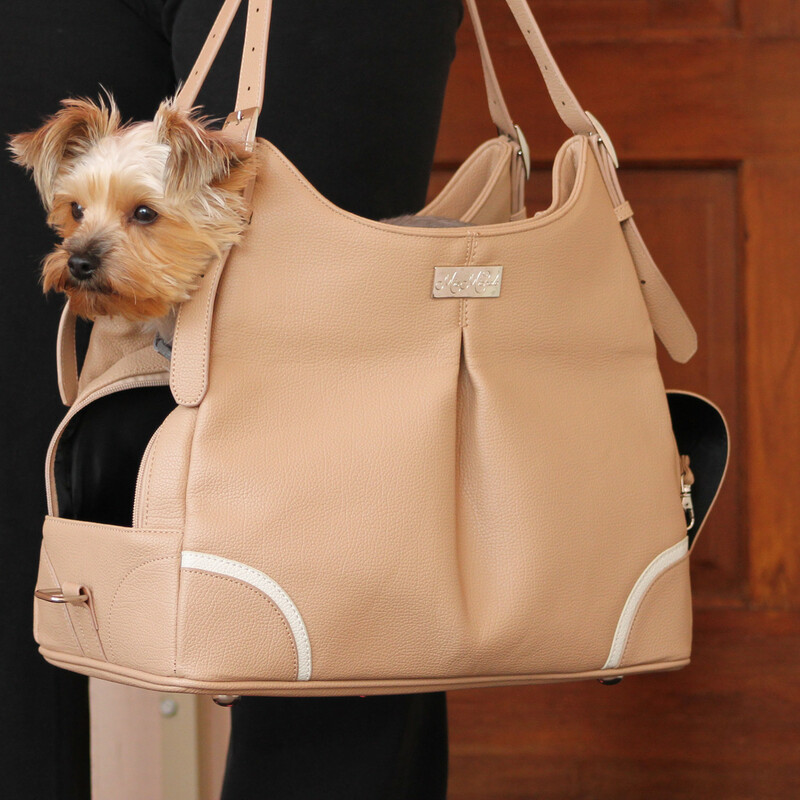 (The inside pillow is covered with waterproof fabric) The Madison Bag features 2 large inside pockets for storage. It has plenty of room for you personal items, including your I-Pad or Tablet. The “Madison” is vented on the top and can be concealed for Privacy. We’ve added Designer Coordinating Corner Gussets for a Classic Styling.